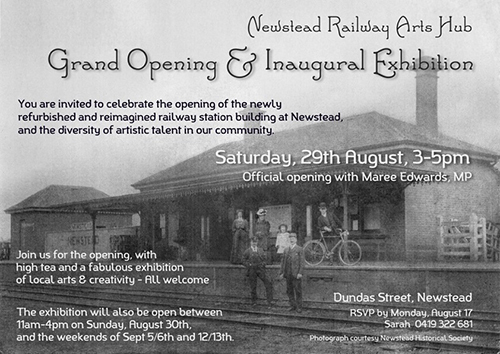 Newstead station was opened on Tuesday, 7 July 1874. This wonderful image (of unknown date) provides a sense of what it looked like during the ‘glory days’. 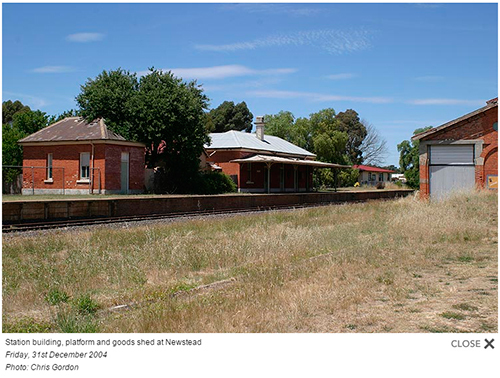 Although no longer in use, Newstead retains a bricks station building, booking office, platform and goods shed. On Friday 17 December 2004, the line from Moolort to Maldon junction was closed, due to the line being reserved for the Victorian Goldfields Railway to operate between Maldon and Castlemaine. My grandfather was station master of Newstead Railway Station and my mother(still alive) slept in one of the rooms facing the platform!